Hallowed by Cynthia Hand Review - My Life Is A Fairytale That Will Never End. Unearthly was amazing! 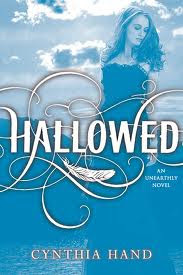 I've been waiting since the midle of November to read Hallowed! This was one of the books I was the most eager to put my hands one! I've finished it in one day. I've finish the last page yesterday night at 1.30 AM. I then I couldn't stop thinking about it!! The book was GOOD! The book overall it quite sad. Clara is put in a situation where she must face a dying person which she loves. 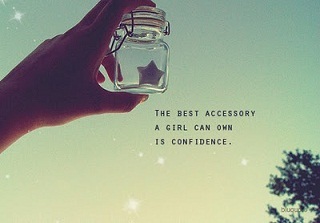 And of course like most people, she's having troubles to acknowledge it. She is angry and mad at the whole world. I must say, that in a way I was so disappointed in Clara, I mean, she could have won the award for stupidity. Because seriously, come on! If I know something about secrets, well, I know that if I want, I can share mine. But it's an entirely different thing to share others. These are no secrets for me to share – because they are not mine. And Clara did just that. I was so pissed off at her. So really pissed off. There is also a lot of action. Of course Samjeeza, the Black Wing, won't leave Clara alone. Clara shows us how really brave she is. 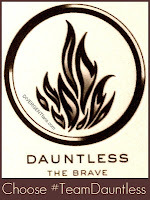 Through the book we can see that she is developing as a character. PS. I know there was something weird about Jeffery. I just knew it!! The Unearthly series are amongst the best books I have ever read. Constantly engaging with never a dull moment. I wish I could forget what happened so that I can laugh, cry and experience this story all over again!